The North « Where in the World are the Brills? We spent our last day in Israel traveling through the North and trying to do all of things that we hadn’t had a chance to do so far. 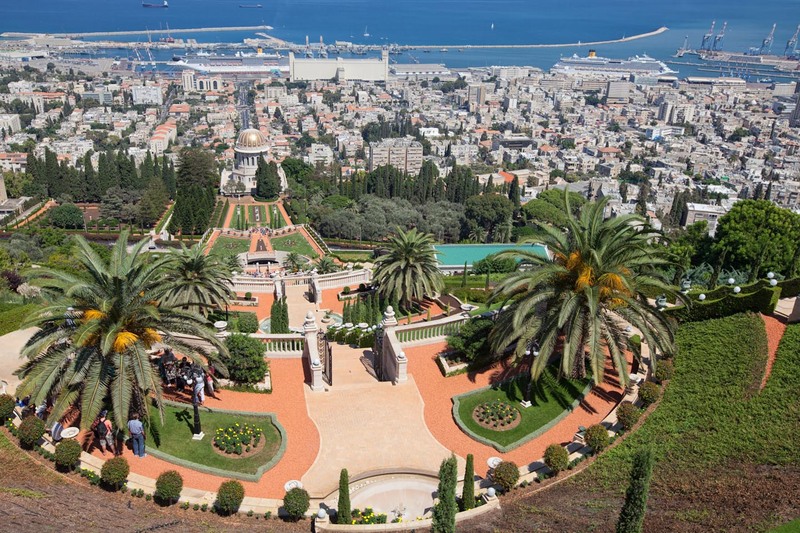 First, Danielle, Rotem, Or, Caitie, Amanda, and I drove up in two cars to see the stunning Bahá’í Gardens in Haifa. The intricately landscaped gardens cover nineteen terraces that go from Mount Carmel to the sea. They are one of the most popular sights in all of the Middle East and have to be seen to be believed. Next, we stopped to get a great Arabic lunch in Nazareth. We sat down and they brought us an unending assortment of meats, salads, and variations of humus. 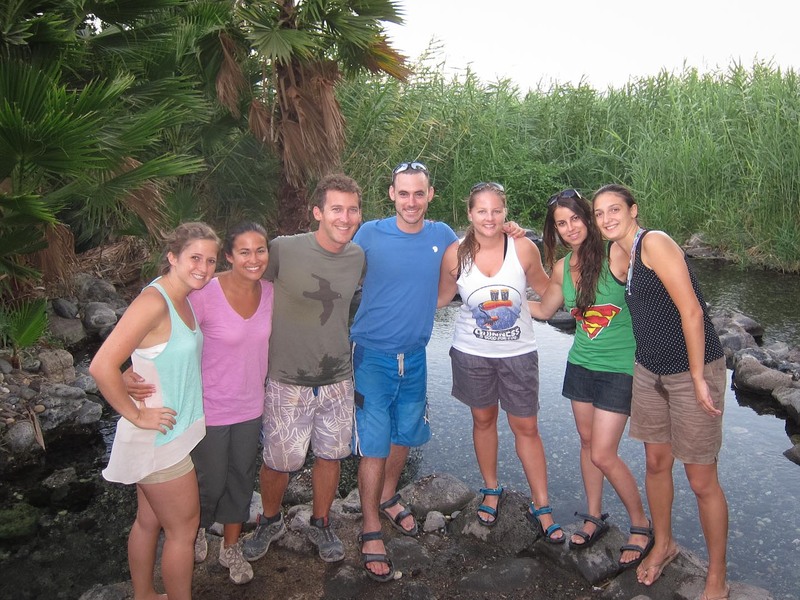 After that, we drove to the Sea of Galilee (Kinnaret in Hebrew) where we found some little springs along the shore that were hidden in a grapefruit grove. 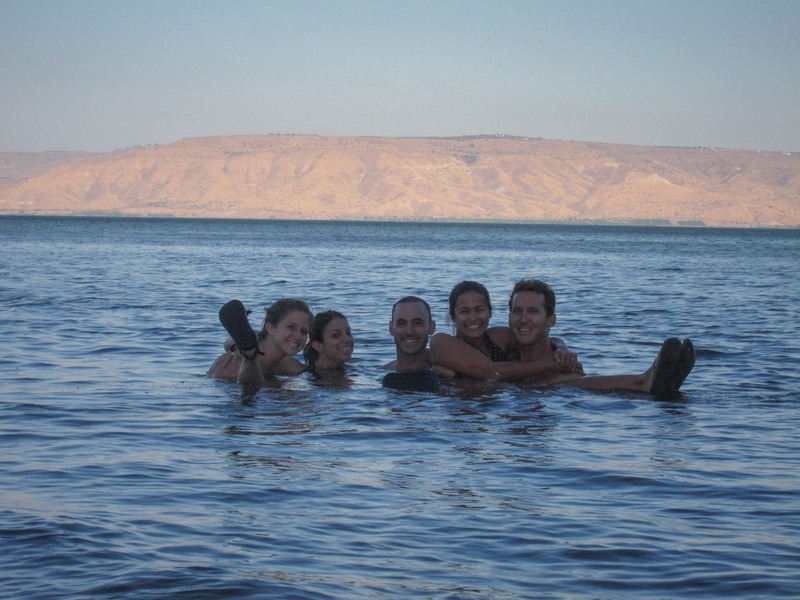 We finally met up with Noa and her boyfriend, and we all went swimming in the sea. Then we drove back to Tel Aviv to get cleaned up for our last stop: the famous Rothschild street. Many of the buildings on this street are made in the famous Bauhaus style that give the city it’s nickname: The White City. It’s also where a lot of the trendy bars and restaurants are located. We went to Max Brenner’s which is a famous chocolate place and had an entire dinner of delicious chocolate! We were sad to say goodbye to our friends but at 2:30am we had to jump in a cab to go to the airport to get ready for our next stop: Barcelona.